by air: The nearest airport is at Jaipur 140 kilometers from Pushkar and Pushkar is 370 kilometers from Delhi. by train / rail: The nearby rail station Ajmer is 10 kilometres from Pushkar. There are trains to Delhi, Agra, Jaipur, Jodhpur and Udaipur. 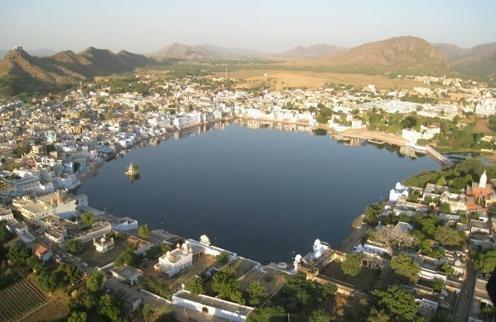 by local transport / road: Pushkar is well linked by road to major cities in Rajasthan. The Marwar and Ajmer bus stands are there from which one can avail regular buses to Ajmer, Jaipur, Jaisalmer, Bikaner.